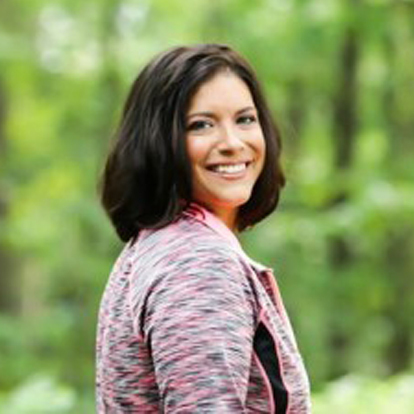 Robyn Caruso is the Founder of The Stress Management Institute for Health and Fitness Professionals™ and the Stress Management Institute Center for Longevity™. Robyn received her Bachelor’s Degree from Rowan University in Health Promotion and Fitness Management. She is an American Council on Exercise (ACE) personal trainer and group fitness instructor, a Certified Health Education Specialist by (NCHEC), received a certificate in PTSD through the Kew Training Academy and is a Compassion Fatigue Resiliency and Recovery – Educator. Robyn is an industry expert for the MedFit Network and MedFit Education Foundation Advisory Board Member, an adjunct professor for Camden County College and Personal Training Advisory Board Member. She has taken the Mindfulness – Based Stress Reduction program (MBSR) through Jefferson University Hospital for Mindfulness. She has been in the fitness industry for 18 years in medical based fitness. Robyn has been featured on the Looping Up Show with Rebecca Chalson and Business Innovators Radio show with Phil Faris. She has written articles for Nou Magazine, Virtua hospital, and the Association of Fitness Studios. Robyn has presented at the camden County women’s Health Expo, Medical Fitness Tour and FitLife Club Network. Robyn is the author of Stress Management Exercise Specialist 1st edition, Holistic Stress Management Specialist 1st edition and Holistic Stress Management Consultant 1st edition. By working in the fitness industry, health and fitness professionals have the privilege of helping clients on a daily basis. When you take one of our specialty courses you are an important part of the healthcare continuum. 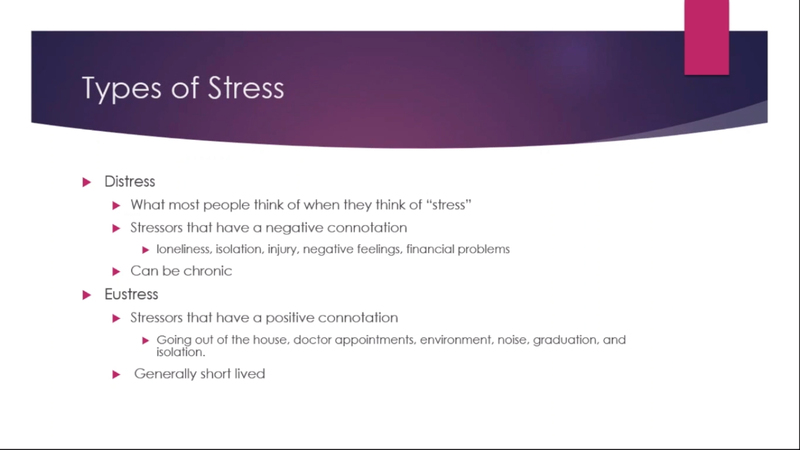 On average 77% of individuals feel the physical, mental, and emotional symptoms of stress. Corporations spend approximately 3 billion a year on doctor visits and absenteeism. 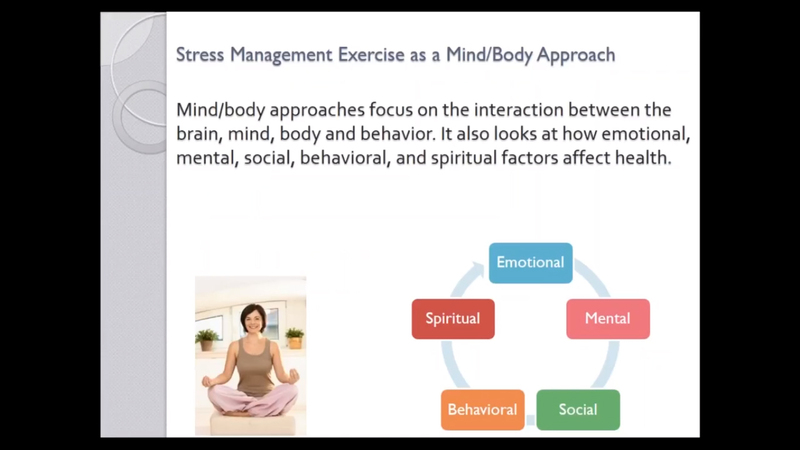 The Stress Management Institute for Health and Fitness Professionals was developed to certify health and fitness professionals to instruct our stress management program (R.E.L.A.X™.). Students will learn how to create customized stress management programs using aromatherapy, Mindfulness Meditation, Reflective Meditation, the Mindful Stretch™ class and blending stress management with personal training. When you become certified you will either become a Stress Management Exercise Specialist™, Holistic Stress Management Specialist™ or a Holistic Stress Management Consultant™. All of our courses are hybrid and will consist of a two day in person workshop and at home self-study. The two day workshop is from 8:30 am to 6:00 pm and will conclude with a two hour retreat. Your workshop instructor will contact you to go over what to expect before your workshop begins. We also ask that you fill out our intake form and return it to us.